A tasty send-off for graduates! 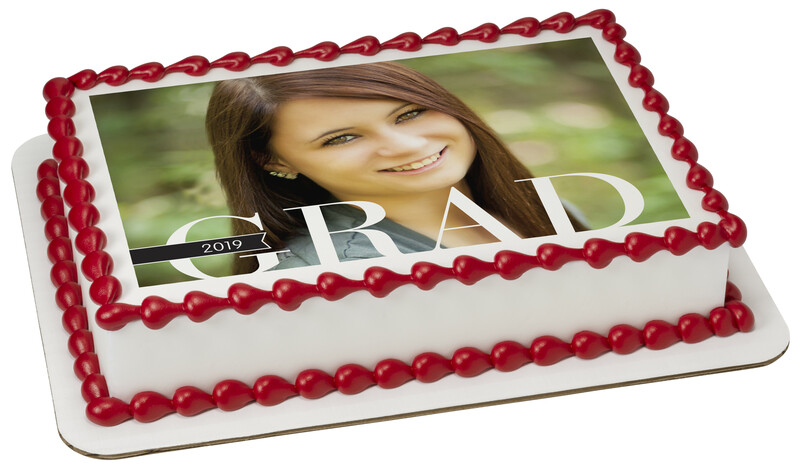 This Edible Image® Printed by PhotoCake® is simple yet colorful, with oversized photo of the graduate, along with their year of graduation. This look adds color and a personal touch! Order and personalize your cake today.